Federal Contractors minimum wage is $10.32 per hour. Tipped employees working on or in connection with covered federal contracts minimum wage is $7.25 per hour. Deadline for establishments with 250 + employees in industries covered by the OSHA recordkeeping regulation (and establishments with 20-249 employees in certain high-risk industries) to submit information from all 2017 forms: 300A, 300, and 301. Please note that all due dates and compliance requirements were compiled for the State of Ohio. By providing you with research information that may be contained in this article, ERC is not providing a qualified legal opinion. As such, research information that ERC provides to its readers should not be relied upon or considered a substitute for legal advice. The information that we provide is for general employer use and not necessarily for individual application. Want to make sure that you don't forget any of these important compliance deadlines throughout the year? 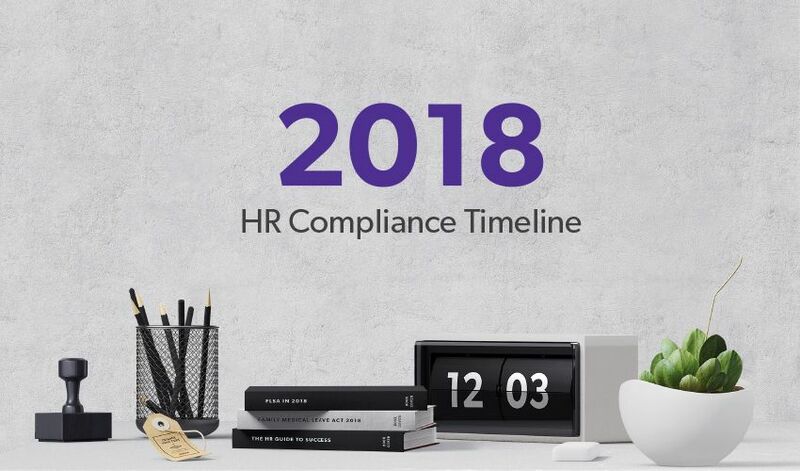 Print the HR compliance timeline and hang it at your desk.